Police investigate a shooting near the I-90/94 split on Chicago's North Side Sunday night. 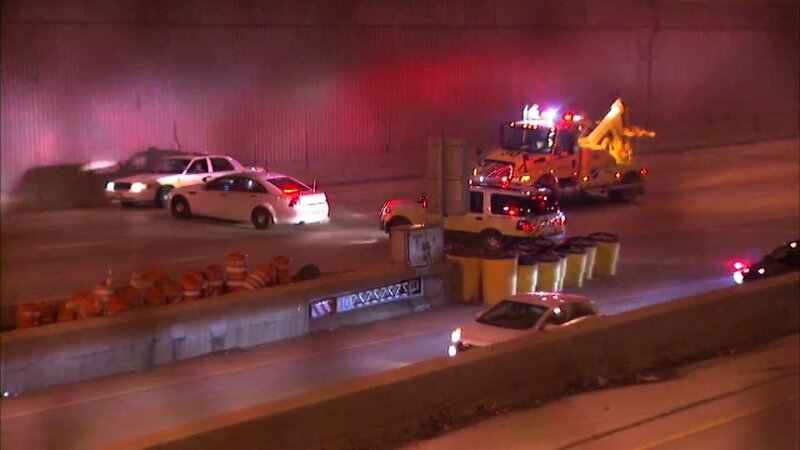 CHICAGO (WLS) -- A 28-year-old man was wounded in a shooting on the Edens Expressway Sunday night, Illinois State Police said. The shooting happened just south of Wilson Avenue at about 8 p.m. Police shut down the inbound lanes feeding from the Edens Expressway while they investigated. Lanes were re-opened at around 11:30 a.m.
A witness said that a person in a silver or gray older model Buick fired multiple shots at the victim, who was wounded three times in the face, shoulder and hand. A 26-year-old woman and 7-year-old girl were passengers inside the vehicle and were not injured, police said. The victim was transported to Northwestern Memorial Hospital in stable condition.